A tropical oasis awaits! 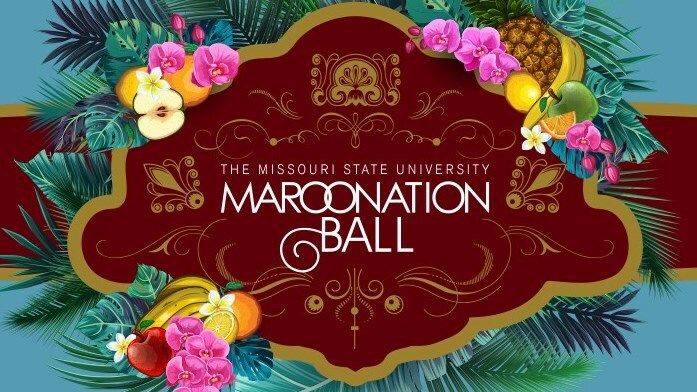 The Missouri State MarooNation Ball is back! Join us for an evening in paradise! Experience a coastal soirée filled with top-shelf entertainment, bottomless beverages and a chic sit-down dinner. Dress to impress and dance to a trending party band. Buy your tickets today for an unforgettable celebration for a great cause. Ticket includes entrance to the event, dining, all cocktails and beverages all night, dancing and fun! All proceeds go towards scholarship support for current MSU Bears from the Kansas City area.